Virgin Islands, Wine Country, Reno and more…. Here is a Dialysis RN travel nursing job in the Virgin Islands just posted DETAILS. An Emergency RN travel nursingjob just went up in Woodland, CA. This is close to historic Sacramento, the state capital, and driving distance to California’s famous wine country. DETAILS. 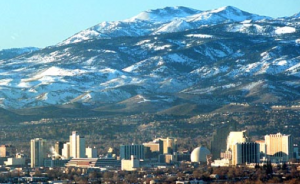 Another travel nursing agency just posted an ICU RN travel nurse job in Reno, Nevada. Reno is close to Lake Tahoe and lots of really great ski resorts. Very nice climate all year round. DETAILS. You can find lots of other travel nursing jobs in my weekly newsletter which you can subscribe to in email form.